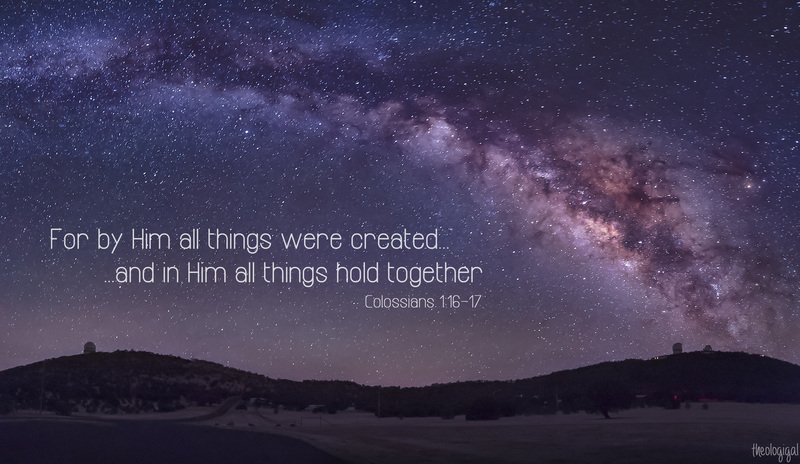 Colossians 1:17 “And He is before all things, and by Him all things consist.” A simple verse but so deep! Jesus was there before anything was made! But look at this part, “. . . and by Him all things consist!” All things, and all things means “ALL THINGS” are held together because of Jesus. If He did not exist, nothing would exist. Jesus the Christ, the Preeminent One is the controlling, cohesive”glue” of the universe. He holds everything together! So when we understand this, when we live this, casting our cares on Him makes so much sense. Becoming a living sacrifice is so practical! The question to ask, “Is He keeping my life together today?